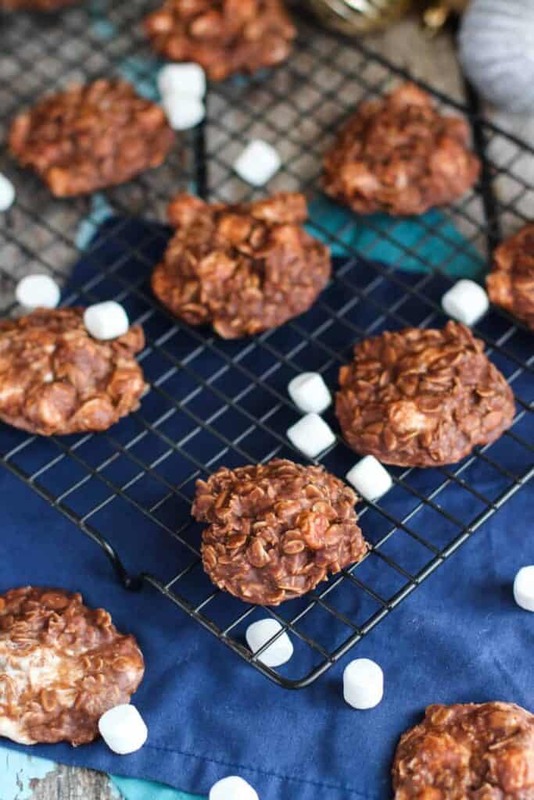 These Hot Chocolate No Bake Cookies turn the classic no bake up a notch. They taste just like hot chocolate! 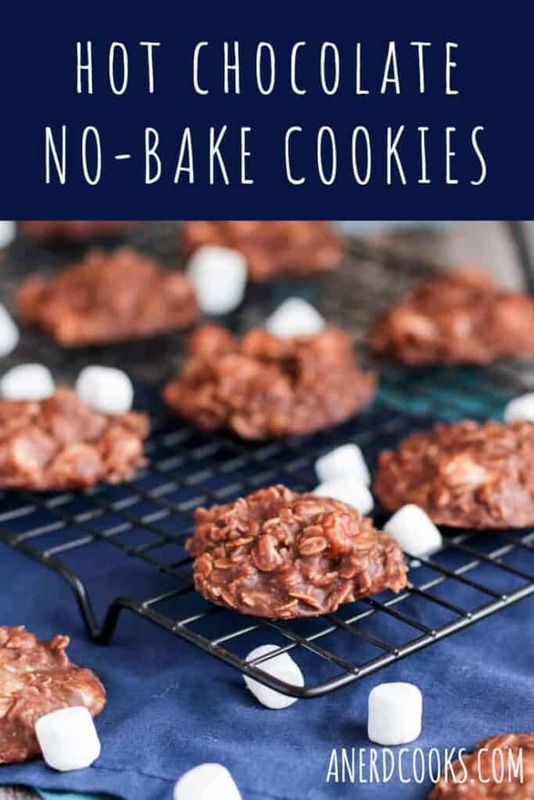 We all know and love No Bake Cookies. 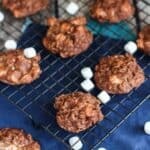 They couldn’t be easier to make, taste great, and give you a pretty serious sugar rush. Over the weekend, I got it into my head that I just had to make some. 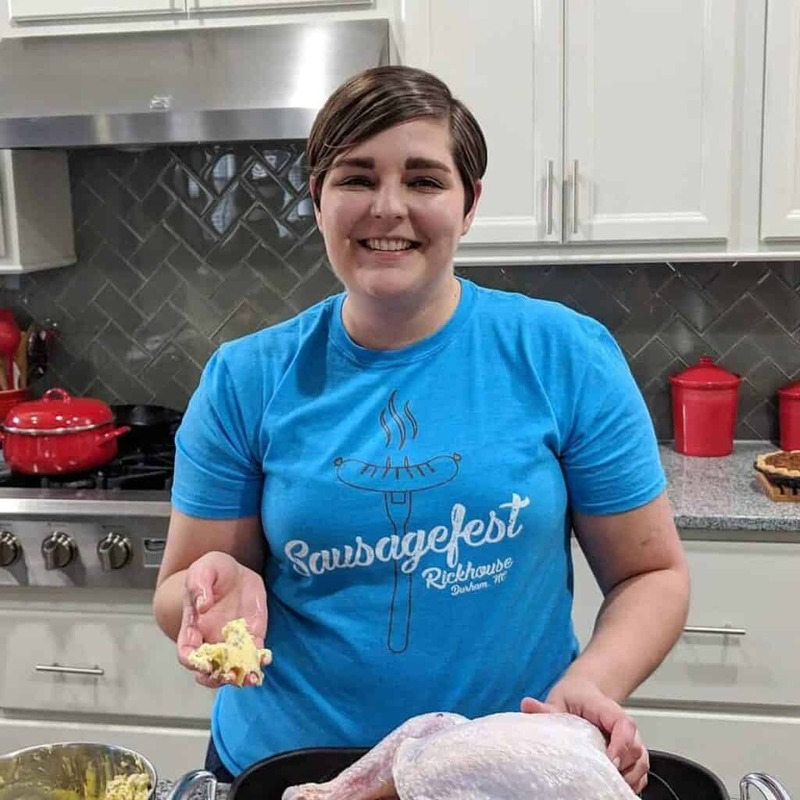 Instead of going with the classic recipe, I turned to Foodgawker to see if anyone out there had switched things up a little bit. The lovely duo over at Oh, Sweet Basil tweaked the classic recipe to make it taste like a mug of hot chocolate by adding some hot chocolate mix, Nutella, and miniature marshmallows. This I could definitely get on board with. 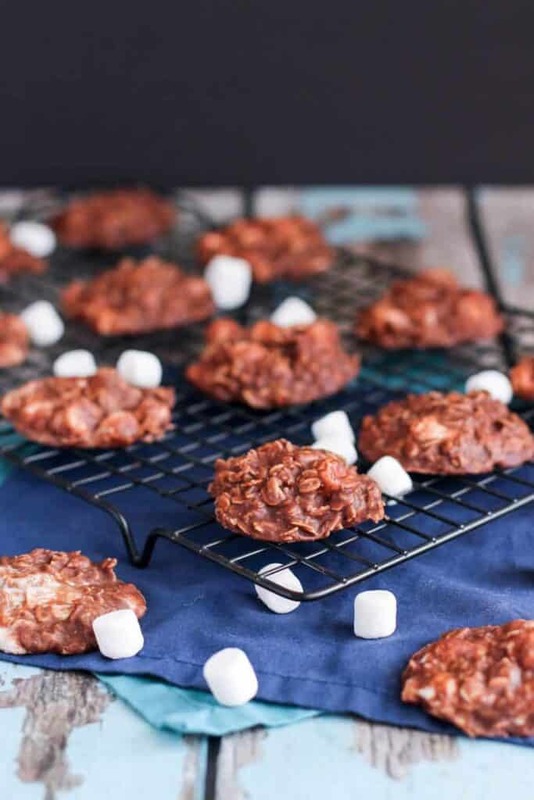 For more hot chocolate goodness check out these Hot Chocolate Chocolate Chip Cookies and The Perfect Hot Chocolate! We enjoyed some of the Perfect Hot Chocolate over the weekend (with a little candy cane vodka). This recipe comes from Oh, Sweet Basil. Line two baking sheets with parchment paper. Set these aside. In a large saucepan, add the butter, sugar, salt, hot chocolate mix, cocoa powder, and milk. Heat over medium heat, whisking occasionally until everything comes to a rapid boil. Allow it to cook for about a minute, stirring continuously. Remove the saucepan from the heat and stir in the Nutella and vanilla extract until smooth. Add the oats and marshmallows, stirring until everything is well combined. Using a cookie scoop (or heaping tablespoon), scoop the cookies out onto the prepared baking sheets. 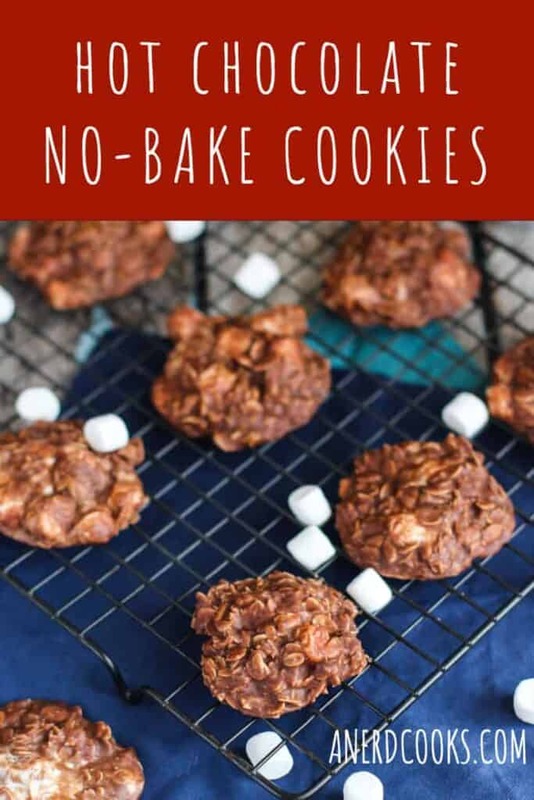 Allow them to cool for at least a half an hour, or until the cookies set up. Hot chocolate in cookies!! What a great idea.